The PX-150, PX-350, PX-750 and PX-850 are being exhibited in Casio's booth #400 during Summer NAMM at the Nashville Convention Center, July 12-14, 2012. The four new models feature a redesigned 88-note Tri-sensor Scaled Hammer Action Keyboard. 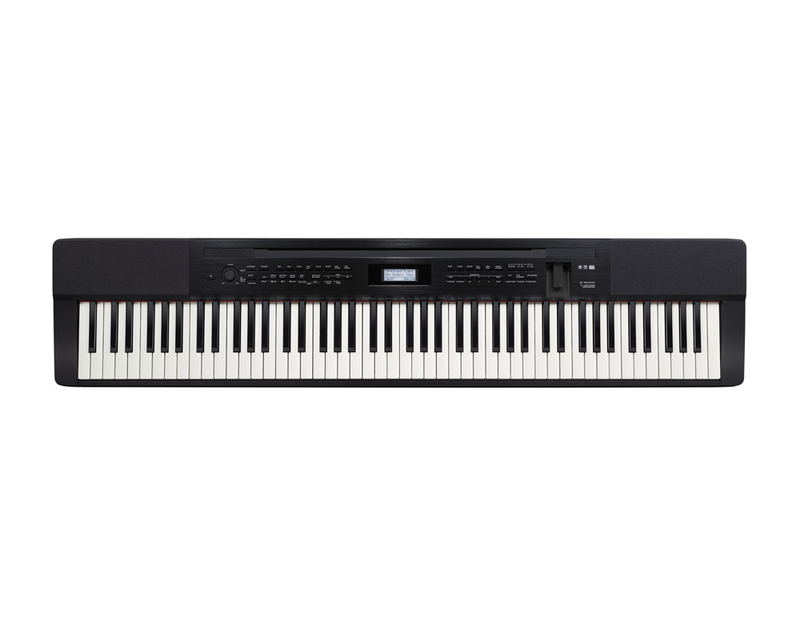 The simulated ebony and ivory textured keys on these digital pianos are designed to reproduce the touch feeling of an acoustic piano while the scaled weighted action keyboard are designed to provide the depth and integrity of an acoustic piano. The new expanded Privia line has four different models which are available in a variety of colors and finishes but some models have expanded capabilities of the AiR sound source with up to 256 notes of polyphony, sympathetic resonance and cabinet simulation. The PX-350 and PX-850 also provide the ability to record a 44.1kHz .wav file to a USB thumb drive. Casio's new Privia models will be available at music dealers in either black or white. The PX-150 can be purchased for an MSRP of $899.99, the PX-350 for an MSRP of $1,099.99 , the PX-750 for an MSRP of $1,099.99 and the black PX-850 for an MSRP of $1,499.99. 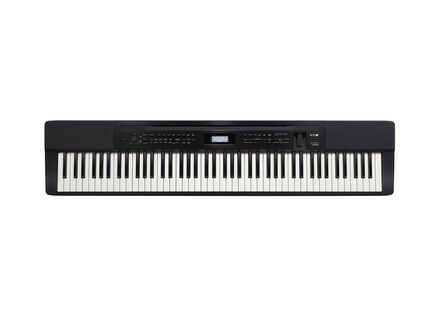 For additional information regarding Casio's Privia line of digital pianos, visit www.casiomusicgear.com. [NAMM] Yamaha P-105 Yamaha unveils the P-105, a new portable digital piano at Summer NAMM 2012. [Musikmesse] Viscount Physis Piano Viscount introduces Physis Piano, a new 88-key Physical Modeling piano with six sound engines.